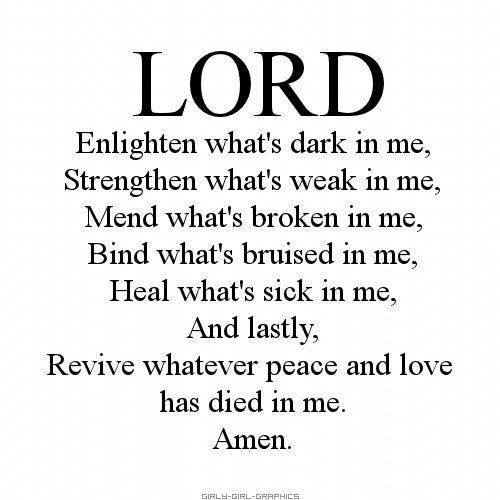 Posted on May 28, 2015 by Brother Murf	• This entry was posted in God, Prayer and tagged bind, enlighlen, heal, mend, revive, strengthen. Bookmark the permalink. Even I ask The Lord in this.